I am pursuing my PhD at Philips Research and Radbound University, Nijmegen. I did my Integrated Masters in Electrical Engineering with specialization in Instrumentation and Signal Processing at Indian Institute of Technology, Kharagpur India. 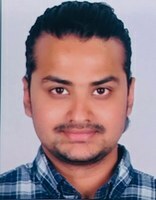 During my under-graduation, I did projects related to the signal processing and machine learning applications on Brain computer interface for stroke patients. Also I did a research internship at NUS, Singapore on VR Pilot simulator for fatigue detection using EEG. This inspired me to do my second Masters in Interdisciplinary approaches to Life Sciences at CRI-Paris, Paris Descartes University. As part of this masters I pursued three research internships in the field of applications to Neuroscience at UPMC, Institut Pasteur and Max Planck Institute of Neurobiology, Munich. My research interests are in automatic processing of pathological speech. My goal is to detect changes in the speech properties and conversational behaviour with main focus in respiratory problems, stroke and other neural, cognitive, and mental conditions. This involves speech signal processing, machine learning and deep learning.